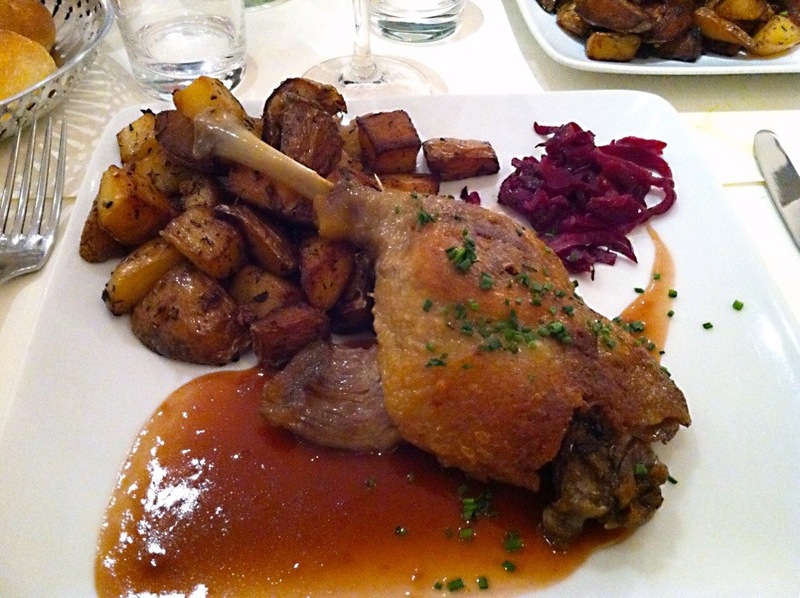 Oh, duck confit, I love you. I started with an artichoke heart and tomato couloirs salad that had Gorgonzola cheese sprinkles over top. It was delicious–light and refreshing. 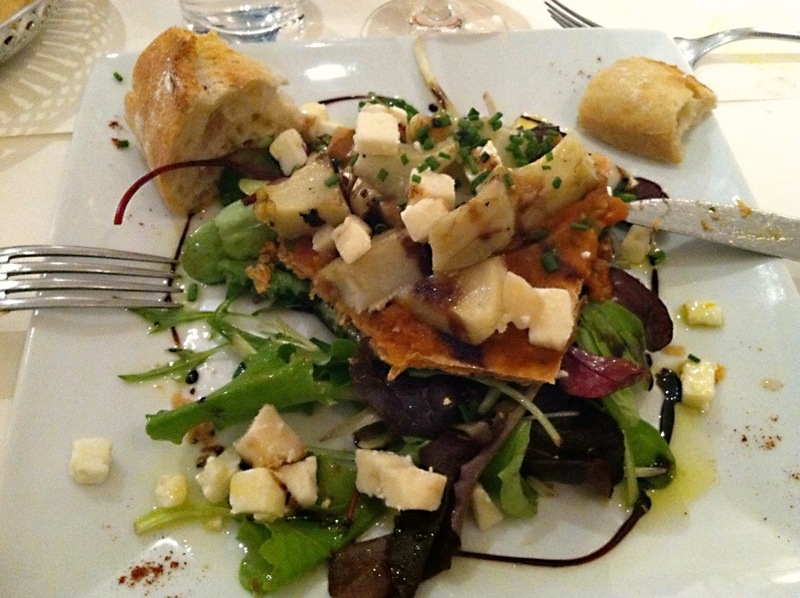 The tomato coulis was spread on a home made cracker-like wafer and served on top of the salad. Soooo good. Not sure I’ll be able to replicate this at home! My plan was to be more adventuresome with my feature, but the daily plate du jour was my favorite–duck confit with duck fat potatoes. Sold!!! The crispy duck and potatoes were decadent and flavorful. 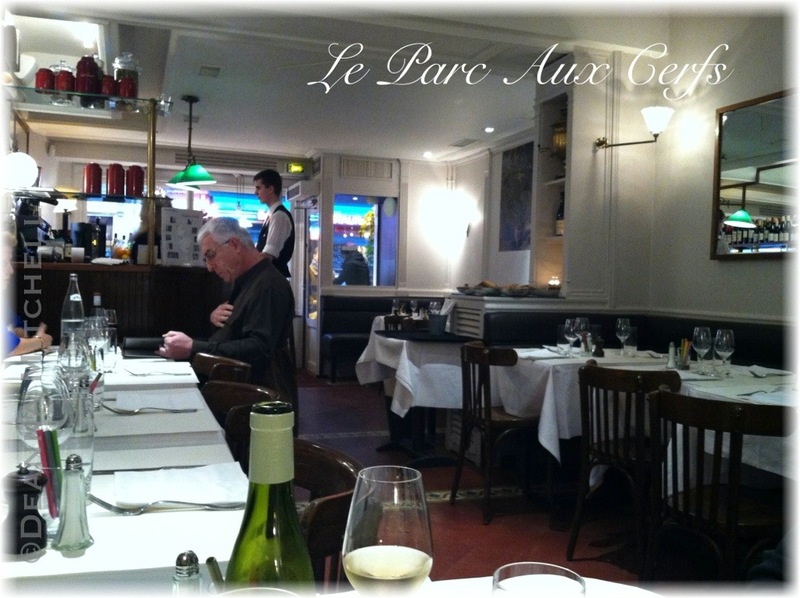 This is not fancy pants food–it is bistro cooking at it’s best. While my tummy was urging me to skip dessert, of course I did not. 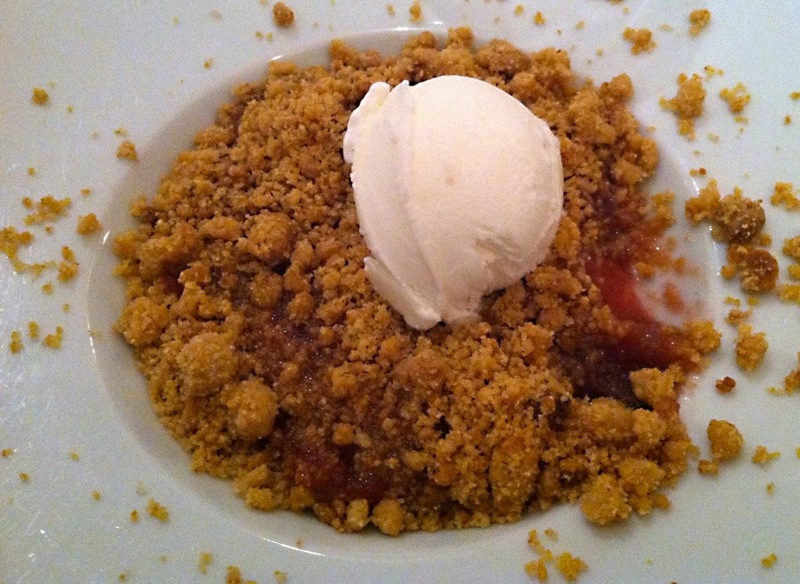 I had a crumble of seasonal fruits with a struesal topping and a scoop of vanilla ice cream. Yum!!! omg all this food looks sooooo amazing! Tomorrow, a pastry post, just for you!